Recognized for her outstanding contribution to the community and leadership at TD, Carol was recently nominated for a 2018 YWCA Women of Distinction award in the category of “Business and The Professions”. Carol is a Vice President and an Investment Advisor at TD Wealth Private Investment Advice. She joined TD in 1995 becoming the first full-service female Asian investment advisor in Vancouver. Carol also holds the Chartered Professional Accountant (CPA) designation which has allowed her to provide a uniquely comprehensive service to her clients for over 33 years in the wealth advisory industry. Being fluent in three languages (English, Mandarin, and Cantonese) has enabled her to understand the unique circumstances of her clients, and to personalize investment and taxation advice to newcomers in Canada. Carol has helped many clients achieve their financial independence with a disciplined and tax-efficient strategy that focuses on capital preservation, estate planning strategies, income generation, asset diversification, and retirement planning strategies. Within a disciplined investment philosophy, her team strives to achieve above average returns through a disciplined investment approach, investing in lower risk asset classes, and taking protective measures to limit downside risk. They work on positioning and managing client portfolios with the objective of attaining a more stable, sustainable long-term performance. Ultimately Carol's goal is to ensure that her client's assets are protected while minimizing the impact of taxation on the portfolio, the estate, and the transfer of wealth to the next generation. Devoted to promoting financial literacy, Carol has voiced a radio segment called “Financial Dialogue” for 22 years providing timely market updates and financial planning tips to the public. She believes in giving back to the community and devotes extra time fundraising for Rosewood Manor (a non-profit care home for seniors), and for the Richmond Centre for Disability. Inspired by her children’s musical talents, Carol served on the board of the Canadian Music Association for five years in support of young classical musicians. Carol believes in building a relationship with you based on trust, accountability, open communication, and a detailed understanding of your needs. In collaboration with a group of TD specialists, she seeks to provide you with the right solution in wealth planning, estate and trust planning, taxation, and insurance solutions. 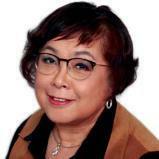 Carol's team consists of two qualified and trusted members, David Leong and Sandra Lau. Together they will endeavor to provide you with an exceptional client experience and service tailored to your needs and priorities. Please contact Carol Leong so she can help you achieve what truly matters to you. To help manage clients’ assets efficiently and accurately to their satisfaction. To help provide advice and solutions that match clients’ needs and objectives. To help provide access to specialists who can help prepare complex estate, trust, tax and insurance solutions. Your experienced Estate Planning Advisor of the Wealth Advisory Services team will work with you to help you determine the form of coverage for all of your financial and non-financial assets in case of unforeseen events. The strategic use of life, disability, living benefits and annuity products can also help you preserve your wealth, sustain your business and minimize tax obligations.